Some previous UN secretary-generals have actively encouraged efforts to create new international law to address humanitarian and other concerns raised by certain weapons. For example, Boutros Boutros-Ghali was an early endorser of the call to ban antipersonnel landmines, while Kofi Annan continued that support by participating in both the negotiations and signing ceremony of the 1997 Mine Ban Treaty. The Secretary-General’s proposal is yet another example of the growing support for states to move from talk to action to prevent the development of weapons systems that, once activated, would select and attack targets without human intervention. Currently, 26 states are calling for a new treaty to ban fully autonomous weapons. More than 100 countries now support moving to establish new international law aimed at retaining some form of human control over weapons systems and the use of force. For the Campaign to Stop Killer Robots, if the human control is truly meaningful both these paths achieve the same outcome of preventing a future of unchecked robotic warfare. On 27-31 August 2018, more than 70 countries will convene at the Convention on Conventional Weapons (CCW) at the UN in Geneva for their sixth meeting on lethal autonomous weapons systems since 2014. 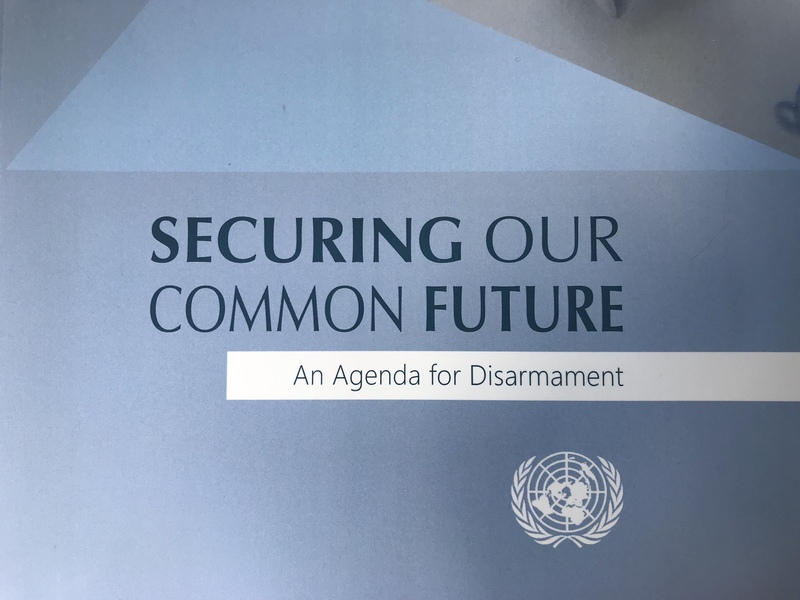 At the previous CCW meeting in April 2018, there was significant convergence on the need to retain human control over weapons systems and start negotiating new international law to achieve this. Most of the states participating proposed that the CCW begin negotiations on a legally-binding instrument (i.e. protocol or treaty) to address multiple, serious concerns raised by lethal autonomous weapons systems. Austria, China, Colombia, and Djibouti for the first time called for a ban on fully autonomous weapons, although China qualified its support to banning use only and not development or production. France, Israel, Russia, United Kingdom, and United States explicitly rejected moving to negotiate new international law on fully autonomous weapons. The CCW operates by consensus so any single state can oppose and potentially block a proposal to start negotiations. Work towards a legally binding instrument that prohibits fully autonomous weapons: States should engage substantively in the CCW GGE meeting in August 2018 and recommend moving the talks to a negotiating mandate aimed at creating new international law. At the CCW meeting of States Parties in November 2018, states should agree to begin negotiations on a legally-binding instrument. Adopt national policy and laws to prevent the development of fully autonomous weapons. Work in coordination with civil society and other national stakeholders to support the negotiation of a new treaty. Last November, the Stockholm International Peace Research Institute (SIPRI) released its first report on the development of autonomy in weapons systems and identified at least 381 autonomous systems developed for defense purposes, including 175 in weapon systems, most remote-controlled drones. Earlier this summer in Paris at the international Eurosatory arms fair, defense contractors from around the world displayed an array of hi-tech weapons systems incorporating artificial intelligence and autonomous features, from remote-controlled tanks to miniature drones to loitering munitions. While the serious challenges raised by fully autonomous weapons have gained widespread attention over the past five years yet progress by states to resolve address concerns has been slow. States have identified and explored key legal, operational, moral, technical, and other concerns raised by allowing machines to select and attack targets without further human intervention. There is now widespread agreement with the need to retain some form of human control over future weapons systems and the use of force. India’s Ambassador Amandeep Singh Gill will oversee the CCW meeting in his capacity as chair of the CCW’s Group of Governmental Experts on lethal autonomous weapons systems. Ambassador Gill is also executive director of the secretariat for a High-level Panel on Digital Cooperation announced by the UN Secretary-General on 12 July. Approximately 30 representatives from non-governmental organizations (NGOs) that are members of the Campaign to Stop Killer Robots will participate in the meeting, including 1997 Nobel Peace Laureate Jody Williams, roboticist Noel Sharkey and other technical experts from the International Committee for Robot Arms Control, a co-founder of the campaign. The campaign is a global coalition of 76 NGOs in 32 countries working since April 2013 to preemptively ban lethal autonomous weapons systems, also known as fully autonomous weapons. UN Geneva-accredited correspondents are invited to attend a Campaign to Stop Killer Robots side event briefing on Tuesday, 28 August to discuss ethical aspects of lethal autonomous weapons systems. Bonnie Docherty will present her latest Human Rights Watch report on how killer robots would fail to meet the Martens Clause, an ethical standard codified in international law for assessing emerging technology. WILPF Reaching Critical Will webpage for the 2018 CCW GGE meetings.